The liver, located in the upper abdomen, produces enzymes and bile needed to digest food. Liver cancer occurs when cells that make up the liver become damaged and grow and multiply without order or control. When old cells don’t die when they should and new cells are made when you don’t need them, they form an abnormal accumulation of cells, called a tumor. These tumors may be benign, which means they are noncancerous, or malignant, which means it is cancer. Secondary Liver Cancer refers to cancer that began in another organ such as the colon, lung or breast, and spread (metastasized) to the liver. Secondary liver tumors are also called liver metastases. Roswell Park offers many liver-directed treatments that are used for both primary and secondary liver tumors. 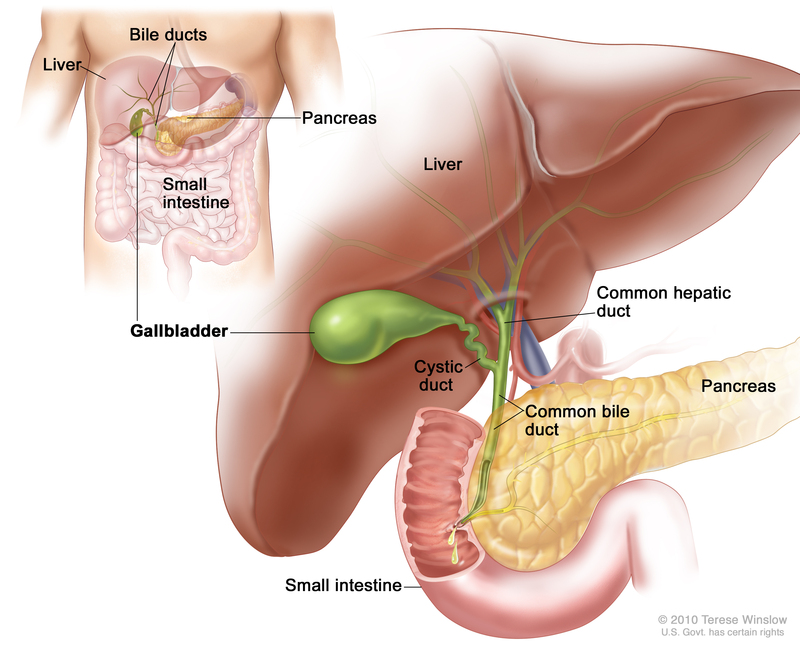 Biliary Cancer, also called bile duct cancer or cholangiocarcinoma begins in the bile ducts within or leading from the liver.